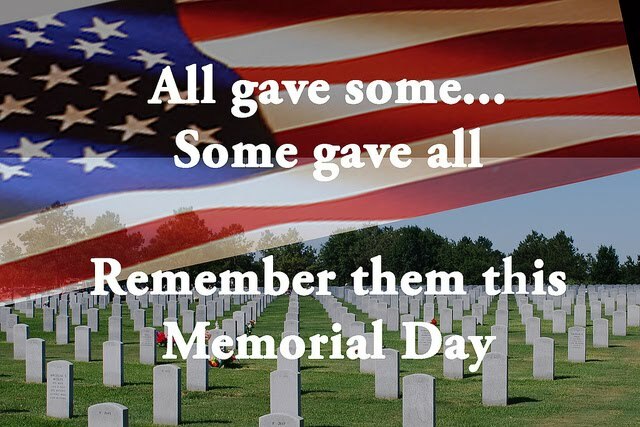 Memorial Day is a United States federal holiday observed on May 25, 2015. Formerly known as Decoration Day, it commemorates U.S. men and women who died while in the military service. First enacted to honor Union soldiers of the American Civil War (it is celebrated near the day of reunification after the Civil War), it was expanded after World War I. We want to take this opportunity to honor all those who are serving and have served our country! J & N Feed and Seed will be closed in observance of Memorial Day. This entry was posted on Thursday, April 23rd, 2015 at 9:05 am	and is filed under Events, uncategorized. You can follow any responses to this entry through the RSS 2.0 feed. Both comments and pings are currently closed.